Information Technology-Business Process Outsourcing (IT-BPO) is the fastest growing industry in the Philippines today. It boasts a steady growth in revenue with an average of 9% yearly and covers about 10-15% market share of the global outsourcing market. A prime outsourcing destination in Southeast Asia, direct employment for Filipinos in this sector was at 1.3 million in 2017. The BPO sector is projected to increase employment to 1.5 – 1.7 million new jobs in 2018 and onwards. The outsourcing or IT-BPO global industry has grown at an average annual expansion rate of 20%. The IT-Business Processing Association of the Philippines (IBPAP) stated that the IT-BPO and Global In-house Center (GIC) industries are the Philippines’ most important job generators. Their contributions to the gross domestic product (GDP) is approximately 17% in 2016, and are now the Philippines’ second largest net foreign exchange earner, after remittances from an estimated 10 million overseas workers. The IT-BPO boom in the Philippines is currently led by demand for offshore call or contact centers. 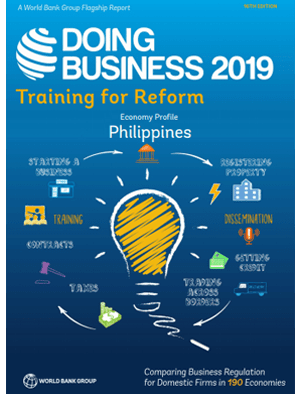 In 2016, the Philippines generated revenues of $25 billion, which is up 62% over the $21.5 billion it gained in 2015, and a huge increase from the start of the decade when the outsourcing industry in Manila employed just 2,400 people and the industry had revenues of merely $24 million. In February of 2015, the Philippines has become the call center capital of the world, and now employs over 1 million employees in the local call center industry, according to Don Lee of Los Angeles Times. It was also able to generate $23 billion in revenues in 2017 amidst the political setbacks and investment risk issues it experienced following US President Donald Trump’s anti-outsourcing stance and plans of bringing jobs back to the USA. Leading consulting firm, Kittelson & Carpo Consulting, has been seeing an increase in newly registered IT-BPOs in the Philippines in the early quarter of 2018. The firm is registering as many as 3 per week. What is the IT-BPO Industry Composed Of? The Philippines’ offshoring/outsourcing industry is composed of shared service offices, global in-house centers, captives and third-party outsourcing providers. Large multinational companies outsource functions of their operations to the Philippines; international 3rd party providers offer services from the Philippines to foreign multinationals and independent Philippine companies provide services to international clients. Through these options, many offshore outsourcing services performed in the Philippines can be offered to companies of all sizes and needs. The two main areas of expertise are Contact Centers and Business Process Outsourcing (IT-BPO). The Philippines formerly ranked second in outsourcing worldwide, just after India. However, recent developments in the global outsourcing industry have propelled the Philippines to the top spot in voice BPO and ranking 2nd in non-voice complex services. The Philippines ranks top 3 in location for talent according to analysts, both on graduate-level pool and among professionals in IT-BPO sectors such as accounting, engineering, healthcare and finance and other non-voice, complex services and is among the top 3 IT-BPO and GIC locations in the world, after India and China in terms of number of graduates. The Philippines records approximately 500,000 tertiary graduates annually. The recent growth spurt in the outsourcing industry in the Philippines has been fueled not by traditional low value-added call centers but by the higher-end outsourcing or knowledge process outsourcing (KPO), including legal services, accounting, business analysis, web design, medical transcription, software development, animation, and shared services. Though call centers still comprise the largest part of the IT-BPO sector, the Philippines has begun leveraging its creative design talent pool, vast amount of lawyers, and CPAs or general accountants. The demand for IT-BPO and GIC industry is expected to more than double by 2022 to approximately US$250 billion. If this is achieved, as mentioned earlier, the industry will need to employ more than 1.3 million direct employees, thus contributing almost 17% of GDP, making this industry the second largest source of foreign exchange for the Philippines. Industry experts see a shift from cost-effectiveness to skills quality and competence. This development continues to strengthen the Philippines’ position as an emerging global leader in the IT-BPO and KPO industries. To achieve and sustain this rapid growth, the Philippine government is offering significant fiscal and non-fiscal incentives to attract direct foreign investment in the outsourcing industry as part of the 2017 Investment Priorities Plan (IPP). The IPP is issued every three years and lists the priority investment activities that may be eligible for incentives. It is prepared by the Board of Investments (BOI) of the Philippines, the government agency responsible for promoting investments in the country, and is focused on the sectors identified in the Medium-Term Philippine Development Plan (MTPDP) 2004-2010 (PBOI 2006). Another government agency in the Philippines that offers tax breaks and incentives is PEZA. In 2017, global advisory firm Tholons released a research report which ranks the Top 50 Digital Nations and Top 100 Super Cities leading the global outsourcing industry in terms of digital innovation and transformation. According to the report, 2017 marks a significant shift in the competitiveness of countries and their leading cities through their adoption of new robotic and cloud-based technologies to aid digital innovation and automation within the industry. The Philippines garnered the 3rd spot in its Top 50 Digital Nations’ list, trailing behind India and China. In the Top 100 Super Cities’ list, five Philippine cities were able to make it. The Philippine capital city of Manila is ranked 4th while the promising city of Cebu is in the 12th spot. Davao City snagged the 85th spot, while Bacolod City and Sta. Rosa made it to the 97th and 100th spot, respectively. IT-BPO operations in the cities of Cebu and Davao were key factors for the industry’s recent growth outside of Manila. Both cities face little of the saturation issues plaguing Manila and offer ample space for companies to expand their operations. Cebu City boasts a continuously improving infrastructure, with 27 IT Centers and IT Parks operating within its business district. Davao City, on the other hand, has been making huge investments in developing IT infrastructures following the completion of Matina IT Park in 2015. Tholons cited Cebu City’s local IT-BPM industry as a healthy mix of services which facilitates the three major service lines of ITO, KPO, and BPO. 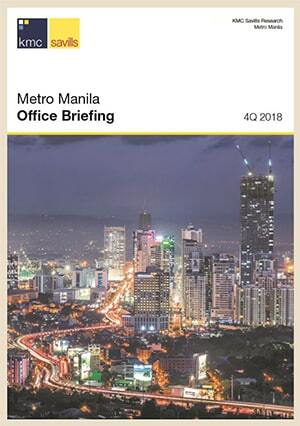 To date, more cities in the Philippines are being developed as viable alternative destinations to cater to companies engaged in the outsourcing industry. According to the IT-BPM Roadmap 2022, the BPO sector is expected to grow at $40 billion in revenues and 7.6 million direct and indirect jobs, with 500,000 jobs outside of the National Capital Region (NCR). The Roadmap 2022 is crafted by IBPAP and is all about accelerating the growth of the local IT-BPO industry, to ensure that the Philippines will continue to expand market share while moving up in complexity and value of its IT-BPO capabilities, and provide another one million higher value direct jobs. The Philippine government’s role is to support and enable the growth of the sunshine industry and the visions of the Roadmap 2022, which coincides with the creation of the new Department of Information and Communication Technology (DICT) by the Philippine government. The new DICT Secretary, Rodolfo Salalima, has ordered the government agencies to expedite processing of permits for telcos to operate in remote areas.